Once again, 2 of Singapore’s top 4 Universities are ranked among the global top 10 for 15 subjects, according to the 2016 Quacquarelli Symonds (QS) World University Rankings by Subjects. The National University of Singapore (NUS) and Nanyang Technological University (NTU) are at top 10 in the QS 2016 World University Rankings just-released by Quacquarelli Symonds (QS). And since only UK and US Universities were ranked better, it means that Singapore NUS and NTU are the best Universities in Asia. 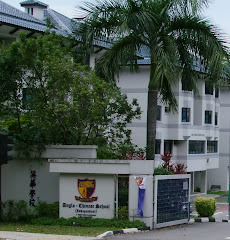 The other 2 Universities, the Singapore Management University (SMU) and SIM University, did not participate in “The Big Lie” propagated by such annual beauty contests of Universities. And yes, this is the same QS Ranker whose annual QS World University Ranking was condemned by eminent Chicago University Professor Brian Leiter, Karl N. Llewellyn Professor of Jurisprudence and Director of Center for Law, Philosophy, and Human Values, as “a fraud on the public”. Another scholar, Professor Simon Marginson, an eminent scholar in international higher education, had also criticized “QS simply doesn’t do as good a job as the other rankers that are using multiple indicators”. It is common knowledge that QS methodology contains serious fundamental conceptual and methodological flaws to render QS Rankings practically useless, irrelevant and immaterial for any serious educational policy purpose. Under scrutiny, the QS Ranking Methodology should have failed to withstand the penetrative professional scrutiny of truly Top Academics and Research Institutions like NTU and NUS, who instead now endorse the spurious Rankings results so as to position themselves dishonestly in full knowledge of the lack of validity and reliability of their proxy measures and methodology. In return for dancing and cavorting with bogus University Rankers like QS and THE, we received for our legacy excellent Universities a Brand of Questionable Authenticity. This is a disservice to Singapore and Singaporeans. By embracing misleading University Rankers like QS and THE, NTU and NUS administrators, senior manager and Professors have been disingenuous and unprincipled in conferring legitimacy on the meaningless results of what essentially are bogus ranking standards of dubious University excellence. 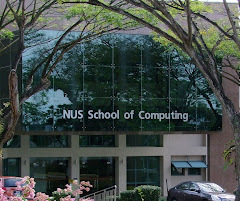 The successful Annual seduction of NTU and NUS by “beauty contest” University rankings can only be attributed to either sheer mindless stupidity, or the abject ignorance of rigorous, sophisticated and transparent scientific research methods. In fact, one of QS’ competitors, the Times Higher Education (THE) World University Ranker, had in fact pointed out that QS employed a “very, very weak and simplistic methodology” to assess universities worldwide. According to THE, the QS’ “weak” methodology has actually ranked undeserving Malaysian Universities to be of world-class status when they were “way off” from being so, and thereby gave Malaysian education authority an “over-optimistic, distorted” idea of how local varsities actually fare. All the World University Rankers use different factors and criteria to “measure” University excellence. None has any scientific basis for their choice of proxies for University quality. None have in fact published their methodology nor subject it to the vigorous due diligence expected of a simple research paradigm. No wonder the United Nations education body, UNESCO, concluded that “these rankings are of dubious value, are underpinned by questionable social science, arbitrarily privilege particular indicators, and use shallow proxies as correlates of quality”. Actually, QS themselves have "been surprised by the extent to which governments and university leaders use the rankings to set strategic targets. We at QS think this is wrong. …" And added: "Ranks should not be a primary driver of university mission statements and visions. …. " 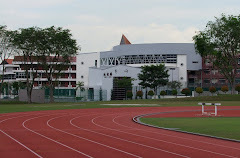 NTU became a full-fledged University in 1991. It is noteworthy that by April 2001, NTU's research had resulted in 20 spin-off companies with many funded by venture firms, with 150 disclosures, 76 patents filed and 30 patents granted. The research papers of its staff and students in refereed international journals also won numerous awards in international competitions and conferences. 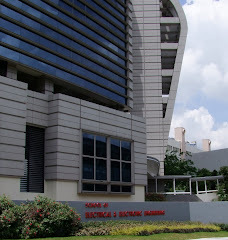 In the recent 8 years, NTU has re-directed its energy and resource to satisfy the bogus criteria/standard of dubious University excellence purveyed by Rankers such as QS and THE. And as it improved on its meaningless Rankings on the QS and THE, its earlier highly visible impact of entrepreneurship, patents and innovations disappeared strangely from its list of true achievements. These never returned. 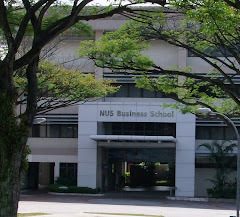 The impact of NTU and NUS on Singapore students and society cannot be measured by the degrees of newly ascribed dubious proxies of excellence defined by bogus “World University Ranking” Standards. It can only be measured in terms of their contribution to the happiness and well-being of stakeholders and of the Singapore and global communities to which we belong and serve. It is more important what we think of our own Universities and what they have achieved for our young people, our communities and our nation. 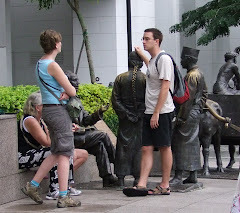 What foreigners think of us using irrelevant and bogus criteria should not make us unhappy. A University’s contribution to society is its sufficient measure. The important thing is to let other people think whatever they want, and not to lose one’s self-esteem by letting others diminish the accolades of our genuine acclaims and true achievements, so that we can lend them our excellent reputation of authenticity and honesty to cover up their lack of credibility, validity and reliability. We should stop participating in any and all the fraudulent World Universities Rankings, so as to stop endorsing such bogus standards of dubious quality excellence. 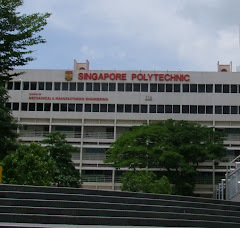 Study in Singapore universities has always been amongst the top choices for international students. Top universities in singapore offer a number of professional and degree courses, starting from Pg Diploma , zoology to photography and arts. I agree with the author, but you need more than good grades to get in. You need a convincing piece of essay that magnifies your background. 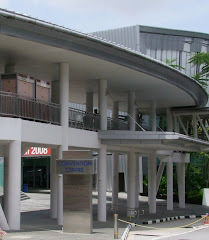 I once tried https://singapore.thesiswritingservice.com/admission-writing-services/ and it was pretty neat.